Question: I had a stroke in October 2011. I lost all feeling on my right side. Over time I eventually learned to walk and my muscles would always tense up, but I was still able to walk. In this past week I have no feeling again, my leg is just limp. I have not seen a doctor yet but plan on it 1st thing in the morning. Answer:: Any time you have a major change like this, you should see your MD or go to an emergency room right away to rule out a new stroke or other problems. Question A friend of mine had a stroke this past week. The stroke affected the left side of his brain. He was given TPA shortly after he arrived at the hospital and the difference in watching him regain his speech and movement were amazing. Now a few days later he seems to be as bad as he was when first taken to the hospital. What happened? Why are we seeing him regress? Answer: It's not necessarily unusual to see a stroke patient's condition fluctuate in the first few days after stroke, but make sure that the MD's/nurses are aware of any changes so that they can monitor the patient. Sometimes the medical staff is not as aware of the changes in condition as the family members so it's important to speak up in case a new complication has developed. My dad had a bleeding stroke 2 1/2 weeks ago. He wasn't found for 36 hours. His right arm also sustained injury from falling during his stroke and has blood clots in it. After getting out of icu, then the hospital and now in an inpatient rehab for the past week, yesterday and today he is much more confused than in the beginning of the stroke. He also had been doing well with PT on his right arm and could raise it all the out and extend him forearm. Today and yesterday we have noticed he cannot raise or lift his arm at all and can barely squeeze our hand. My sister and I are very concerned of this decline of his rehab. Is this normal? Could another small stroke happened or could a blood clot have dislodged and causing this? Symptoms getting worse since Stroke? Question: My husband, currently age 43, had a large ischemic stroke on the left side of his brain 2 years ago tomorrow. He suffers from short term memory issues, right side visual field impairment, aphasia, and numbness on his entire right side. He had a long term disability policy through his employer and now the disability company is questioning his recovery. 2 months after his stoke he was evaluated by a neuropsychologist and then the disability company just ordered another evaluation. The results were markedly worse from his initial testing nearly 2 years ago so the new neuropsychologist has concluded that my husband must be faking it as his results are "not typically what they see from someone recovering from a stroke". I can state with 100% confidence that he is not faking these issues. I am with him 24 hours a day (we both work from home now). It is infuriating that this Dr. would accuse him of faking! While most patients do recover, is it possible that his difficulties could worsen over time? (We feel that they have). If so, do you know any resources that I can research for evidence supporting this? I fear that we are going to have difficulties with the disability company. Answer: If you feel he has worsened, I would recommend he see a neurologist to discuss the worsening of symptoms and possibility of new incidences. I would also let the neurologist know about what is going on with the disability claim. You need an advocate in your corner, and I would say that a MRI showing a stroke would be fairly sufficient in proving someone is not "faking it". You could ask for a new MRI to make sure that nothing new has occurred. If the disability insurance provider is not cooperative or receptive to helping then I would consult with an attorney regarding your options. Comments for Symptoms getting worse since Stroke? My mum presented stroke symptoms , pain in right brain and left side dongles and numbness. Feeling has returned but mri shows nothing on that side of brain. However they've found she has had a stroke on left hand side of brain but a couple if weeks previous at least, not on the day symptoms showed. She also cannot walk or move without being violently ill. Drs are wanting to restore crystals in her ears as they are sure that's causing all dizziness and sickness and now rule out these symptoms and immobility are anything to do with stroke? Can anyone tell me ? Is it possible to have symptoms show 2 weeks after a stroke? Stokes are such a mystery. In most cases people improve after a few months. Sometimes symptoms worsen when another stroke is developing. That's what happened to my husband. I could tell something was happening, so I took him to the neurologist, nothing showed up on test and 2 weeks later he had a stroke close to the "brain stem". The doctor said you were right something was developing. Enjoy today because tomorrow is not promised to you. Prayer and meditation helps so much. Question I had a TIA a year ago then six months later had another then few days ago while resting suddenly my eyes couldn't focus at all felt like they where crossing over each other and double vision also numbness down my left side I am concerned and worried could this be another TIA happening can anyone give me advise please. Many thanks. Answer: Some people can have multiple TIAs. Since you are having unusual symptoms, I suggest you consult with your MD or a neurologist. new symptoms after 15 years. Why? I had an ischemic stroke 15 years ago due to a carotid dissection and was paralyzed briefly on my left side. Now, 15 years later, my balance is deteriorating and my left arm is not functioning properly. It flexes involuntarily when I am serving a tennis ball. An MRI and ultrasound showed nothing. My neurologist doesn't have an explanation of a solution. I am puzzled and very upset. Question: In the 3 and 1/2 years since my husband had a severe left side affected stroke, he has had an annual recurrence necessitating a hospital stay & lengthy rehab. He has not had another stroke, but the old stroke site has been irritated, the most recent as after a pilgrimage to Lourdes. What can be done to prevent this? Answer: This sounds more like a medical problem than a problem with rehabilitation so I would recommend talking to his doctors about what is going on and how to prevent it if possible. Eyesight worsened 5 weeks AFTER stroke. 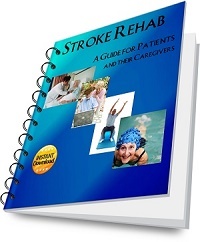 Question: My husband is six weeks into post stroke and still in rehab facility. The doctors have no clue why all of a sudden his vision had become extremely poor. He had a brainstem stroke affecting his left side body and swallowing. But his eyes were fine! Now 6 weeks into rehabilitation, and he can't even read large print newspaper. 2 weeks ago he could read the fine print off his medication summaries.. What can we do to help his eyes to improve. He has PT OT and SLP daily but no one has suggestions for eyes. One doctor mentioned to patch an eye. But then he will be even more hindered. Any suggestions? Question: My dad fell and had a bleed on his brain which effected the left lobe of his brain. A week later, he had a stroke, which also effected the left lobe of his brain. This was 6 weeks ago. He is now in a nursing home getting therapy. Sometimes I see him, we have good conversations., 2 days later he's all confused and isn't making any sense. Why is this happening??? NOBODY is giving us any answers. Answer: It would be best to talk to your dad's physician about his condition. Symptoms of stroke can be magnified when a patient is sleepy or fatigued. Certain medications can also make a difference in the level of alertness/cognition, so being aware of when he has had medication and the effects may be something to investigate. In addition, dehydration and drops in blood pressure can cause a change in a level of alertness as well. Sometimes swelling in the brain may be an issue after a head injury. If you (or the nurses) can keep a record of changes in cognition along with time of day/blood pressure/time meds were taken, you might get a clearer picture of what is going on. Cannot release weak hand 3yrs after stroke. Help. Question I had a stroke 3yrs ago and I still can't release my my left /weak hand . Is there any hope that I will be able to operate my hand functionally to take care of myself and my 3yr old daughter?? Therapists have told me more than likely I won't be able to and that I will always require assistance. 2. I also walk with a non quad cane and I want to know if its possible for me to regain my balance well enough to walk without assistance/my cane? Answer I am sorry that you feel discouraged by your therapists. From a therapist's perspective, I think it's important to not overpromise or mislead patients. I encourage patients to learn adaptive techniques to perform their daily living skills while at the same time encouraging them to work on regaining movement and arm function. I cannot predict if someone will regain movement, but I do know that most patients do not get enough exercise or activity with their weak arm to allow for neuroplastic changes of the brain. I do not know if your hand is contracted or if you are just unable to actively open it on its own. If your hand has high tone and is contracted then that would need to be addressed with a physician first before trying to gain movement. You can visit my spasticity page for ways to deal with tone if that is a problem. 1) Learning to weight bear through the hand to decrease any tone - this can be done on a mat, table, or on a ball. 2) Passive range of motion using the strong hand to stretch the weak hand open/close. 3) Trying to keep the hand on a surface without falling off. Once you have relaxed the hand through weight bearing then try to place it on a surface (using the other hand to help) and see if you can keep it there without it falling off. To make this harder, place the hand on a soccer ball (or similar) and try to keep it from falling off the ball. 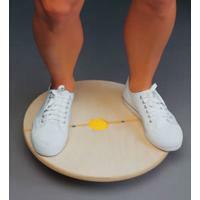 You can also progress to placing the hand on an inclined surface if a flat surface or ball is too easy. 4) Similar to number 3, I have the patient put both hands on a ball with fingers outstretched and have them first try to just keep their weak hand on the side of the ball. Once they master this, we move to trying to lift the ball with hands flat on each side of the ball. 5) I use tapping to the back of the forearm and try to have the patient open the fingers and lift the hand back. I also use electrical stimulation but a physician's prescription is required for this and the patient must not have any contraindications. 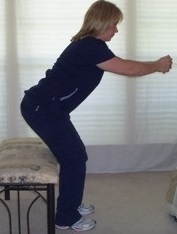 These are some of the basic exercises I start addressing with patients. One must first be able to get the hand open passively and be able to hold the hand open flat on an object then he/she can progress to more advanced exercises. One needs to do the exercises repeatedly and throughout the day to have the best chance of getting results. You should try to incorporate the use of the hand/arm in any task that you can throughout the day even if it's only placing the weak hand on an object to hold it in place. I cannot predict if you could walk without a cane, but my suggestion is to get a physical therapy order from your doctor and let the therapist know your goal is walking without a cane. That way you could safely work on this goal. It doesn't matter if you've had therapy in the past. You can always ask for more therapy especially if you have a specific goal to address, have experienced any changes, or are trying something new like botox or medicine changes to control spasticity. I see many patients come back for therapy many years after their stroke. Good luck to you! Question: My aunt exercised every day. She eats right does not drink or smoke. When she had her first stroke, she was able to reach the hospital in time to get the shot. She was then transferred to another hospital. She had a mini stroke there and it affected her speech. Every time she goes to rehab she starts to get better. 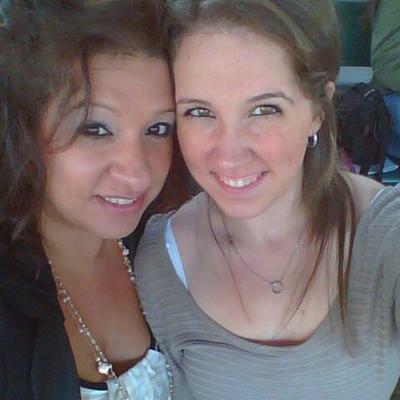 She goes home and within three months she has another stroke. Then the process starts over again. So far she has had 5 strokes and several mini ones. Her husband keeps telling us the strokes happen because she has small veins. She can not walk on her own. Her speech has gotten worse. She shakes more. She can't see to well. There was a time after one stroke that she thought someone was trying to harm her. Her one physician has prescribe 11 medications for her. He has also prescribed two differnt multiple vitamins. She has become depressed. All she does is sleep and listen to crime stores on tv. She also keeps her weight under control. How can I help her? Answer: Some people have multiple strokes, and from my experience, they do tend to decline in function. I don't know if there is anything the physicians can do to figure out why she is having strokes and stopping it, but if her physician is not a neurologist, then I would definitely have her see one since they specialize in working with neurological disorders. I would also have her consult with a cardiovascular specialist if she hasn't already. Sometimes people rely solely on their general physicians when they need to consult a specialist to find out what is wrong. I have seen cases where doctors were unable to stop or determine what was causing multiple strokes, so I do not know if they will have a solution, but that is where I would have her start if she hasn't already. Good hand 3 years post his stroke is getting very weak. Question: My father is having a hard time pulling himself up out of his wheelchair. His good hand keeps getting weaker. A number of his doctors say they don't know what causes it. The O.T. can measure how much strength he is losing. What could be causing his loss of strength in this hand?. He won't be able to continue staying at home if it gets much worse. Thank you. Answer: I would take documentation from the OT regarding hand strength and sensation to a neurologist. If it's just a minor change, this is not unusual over time as we age (you can see a chart of hand strength for various ages to see where he falls or ask the OT to show you the chart). If there is a significant change in strength, I would take the results to a neurologist and see if they will do testing such as a nerve conduction study to check for neuropathy or other problems with nerves. I would ask the OT to check for sensation issues with Semmes Weinstein (or similar) monofilaments. If your father has any numbness/tingling or sensation deficits plus weakness, that would be a sign of problems with nerves which is not uncommon. Sensation testing is more accurate if you use monofilaments. You can't just go by report of I can feel with my fingers or trying to touch the hand with your own hand to see if he can feel it. He would need sensation testing on a finer level such as with the monofilaments to detect subtle changes. 15 years ago, I had a right brain ischemic stroke due to a carotid dissection. I was briefly paralyzed and recovered completely with TPA. I experienced brief paralsyis once again following placement of a stent in the artery. My recovery was very good, about 98%. Until about a few months ago, when my mobility went haywire, and has been getting worse. An MRI showed no new stroke and was all around negative. A carotid ultrasound showed normal blood flow. I was playing tennis a month ago but now I cannot play. I feel unstable and my gait is awkward and unbalanced. I fell for the first time in 15 years. I also have involuntary movements in my left arm. My current neurologist has no idea what is going on, and I have an appointment soon with new one. Any ideas? Answer There are many types of neurological disorders that can cause similar symptoms, so I think you are wise to seek the advice of another neurologist. Some disorders such as Parkinson's don't have a specific test that you can take to get a diagnosis. Most likely, your neurologist will rule out certain diagnoses and hopefully can determine what is going on. My best advice is continue to work with your doctor in determining a diagnosis. Sometimes other tests such as bloodwork or cerebrospinal fluid testing may be indicated. Keep a journal with dates of your symptoms so you can share it with your doctor and get a better picture of what is going on. Question: After my husbands stroke he had 3 sessions of physical therapy which was not enough , then developed a C Diff infection which took 5 months to diagnose, he slept on the toilet for 5 months , it was awful , now his legs are swollen and no doctor can help. I took him to the emergency room 3 times with burning pain in his legs he still has the runs constantly. He drifts in and out of reality. He is 55 and I am 46 I am so depressed. It never ends. He was my best friend, and we had wonderful times together. I feel I lost him even though he is still alive. I don't go out with friends or go out anywhere except work. I feel like I am just existing. I've tried to help him but I am not a doctor, and he won't help himself. I feel so guilty, but should I accept my life as before has ended or continue on and get back to things I want to do.I would love to go out with him, but he refuses to go anywhere except to the doctor. We haven't been in a restaurant for 3 years or a movie. I find myself staying in bed all day long not eating, this is depression. I need to make a move . I'm so very confused as to what I should do. Answer: You can get help by talking to a licensed counselor to help you through this time. I also recommend going to a caregiver support group or at the very least looking into online caregiver forums. Others that in your situation may be able to give you invaluable insight in how to change or improve your situation and help your husband. As a caregiver, you have to take care of yourself. This means taking care of your health and doing things you enjoy whether he comes with you or not. I think you really can't make a good decision about your situation until you start taking care of your emotional and social health. Once you have started taking care of yourself, then you can concentrate on figuring out a way to help your husband and make the life decisions you are talking about. These are my own personal opinions, however, and not expert advice. I'm afraid I can't be of much help with the medical aspect of this. I've been my husband's caregiver for almost 5 years now. He also won't go out except for the doctor's or PT. I am retired so don't have to work but since I have a paid caregiver, for a couple of hours most days, I can get out. Although I think a therapist would be very helpful, so you know you're not alone there are several Facebook groups that are oriented toward stroke or TBI caregivers. One is Original Stroke/TBI Caregivers group. If you're on Facebook, just find the group and ask request to be a member. It's good to introduce yourself and your situation fairly soon when you're on. One can let off steam safely here, and sometimes get some good ideas as to how to proceed. This is coming from a stroke survivor so there is no basis to listen to me. As far as stroke recovery is concerned the doctors and therapists really are only good as far as showing you what exercises to do and nagging, the survivor has to do all the work. There are no shortcuts, no magic pills. In other words his recovery is totally up to him and how much work he puts into it. No work, no recovery. You need to take care of yourself first. Im sorry to hear that your husband is not getting better. I had a Stroke also a couple of years ago, after my Doctor removed my medication for a heart problem. I still cannot go to the toilet, or sleep, plus a few other little things. I live by my self with no family in Australia, I have not returned to work yet.I am waiting to go into hospital to have an electric shock to try and get my heart ticking normally what ever normal is. Please do not give up on your husband, he needs you as much as you need him. I wish you both all the best of luck, give your girl friend a call and go for a nice meal and maybe a dance. Question Hi,I had my stroke Aug. 5, 2010,caused by a brain bled in my left thalamus and over the years I have experience various levels of pain, spasms strong enough to wake me from sleep, and constant times of seeing double and triple visions accompanied with headaches and dripping sweats. Since my original stroke, I have been told I two areas of my aorta have developed aneurysms, I have a 7mm thalamus posterior cavernous malformation, and need to sleep with a cpap machine because I stop breathing in my sleep and my brain doesn't wake me up to breathe. Now to add to my health dilemma,I have noticed in the pass couple of months that my right is weakening, and I am struggling to keep my balance. I feel I am getting worse. Is this normal? Answer: Since you are noticing changes in your strength and balance, I would recommend you visit with your doctor regarding these symptoms. I would also ask the physician for a therapy prescription since you are having these changes so that the weakness and balance decline can be addressed. Question: Five years after my stroke, my right side has stiffened up more and at times feels like someone is clutching hip and arm. Hand is numb for the whole time. My right side is hypersensitive, and I walk with a limp and leg points inward just to name a few issues. Docs can't pinpoint. Answer: Since you have had changes in your condition, I would request a PT and OT referral from your MD. It could be due to late effects from your stroke or the doctor could just write a referral due to pain and stiffness that is new onset. Three years later and my sister has no movement. Question My sister is 54 yrs old and started having problems with opening windows, jars, etc. She started losing muscle mass and now she's not able to walk or use her arms and hands, but she can move her head and wiggle her feet. She said she had a stroke and her nurse said it's ALS. She sleeps with oxygen at night. Is this condition reversible? I was told people can get ALS symptoms after having a stroke. Answer: I would assume that the nurse would know your sister's diagnosis if she says she does (unless the nurse is telling you that's just her opinion). What you describe does sound like ALS, however, there are other neurologic conditions that can mimic ALS symptoms, but I'm assuming she has already been diagnosed by the doctor since the nurse is telling you that your sister has ALS. If she has not been diagnosed by a doctor, then you won't know what's wrong until she gets an official diagnosis. What you describe does not sound like stroke. It's possible she could have both conditions, but a gradual loss of muscle mass, use of hands, and inability to move over time is not the pattern for a stroke. Strokes come on abruptly due to damage to the brain from either lack of blood flow (ischemic stroke) or bleeding (hemorrhagic stroke). ALS on the other hand is due to degeneration of neurons and at this time has no cure and is not reversible. It also is genetic in about 5-10% of cases. You can read more about ALS at https://www.ninds.nih.gov/Disorders/Patient-Caregiver-Education/Fact-Sheets/Amyotrophic-Lateral-Sclerosis-ALS-Fact-Sheet. Question: My stroke was 1 1/2 yrs ago. The numbness in my leg is now worse than right after the stroke. Why? I am also dizzy & my leg being more numb throws me off even more. What can I do? I still do exercises as much as I can. Answer: I would check with your MD to see why numbness has increased. You will want to rule out neuropathy (diabetes is often a cause of neuropathy and can lead to dizziness if blood sugar is low, so that is something to ask about). Decreased circulation can also increase numbness. There are a myriad of reasons that could cause numbness and increased dizziness, so I would first investigate why you are having an increase in these symptoms. Many people will assume exacerbated symptoms that show up months or years later are a result of their initial stroke when in fact are due to something else. If the doctor rules out new nerve or circulatory issues, then I would suggest asking for physical therapy orders for a change in condition. I had a mini stroke a year ago, I felt better right after. Now, left side is getting worse, hard time walking, dizziness and confusion are getting worse, just randomly lose my breath, even when sleeping, wakes me up. Back in therapy, brace and cane are the answer for now. Hemoglobin levels have been high ever since. No one seems to have answers. Question I had a TIA (Transient Ischemic Attack)stroke last nov 2017. I experience temporary paralysis on the left side to my arm, hand, mouth and face. I have recovered from these. During the work up phase it was thought that a hole in the heart may have been one of the causes of the stroke. After several weeks of working with a hand therapist and speech therapist. I started to walk again. I have been experiencing dizziness followed by headaches. The headaches come on when I weight lift. Has anyone experienced this? If so what was your resolution? Answer: This is a serious symptom, and I would recommend that you see a neurologist especially since you have already experienced a TIA. Heavy lifting and straining can lead to increased blood pressure , and if you have ischemic disease, this can put you at risk for stroke. Straining could also lead to increased pressure in the brain putting you at possible risk for hemorrhaging. It could be simply that you need to drink more water since dehydration during exercise can lead to headaches, or it may be that muscle tension is causing headaches, but I would absolutely see a neurologist to rule out more serious causes. My own father started having headaches during bowel movements. He ended up dying several months later from a brain hemorrhage, so I tend to take headaches during straining activities quite seriously especially since you already have past cardiovascular issues. Question: My husband had a vertebral artery dissection causing a minor stroke 9 years ago. Recovery was rapid without incident. Now he seems to be having issues with impulse control - anger with yelling, etc. No other reason to suspect another cause other than late effects of stroke. Could this be the cause? Answer: If your husband did not start exhibiting these symptoms until recently, then I would not believe that the stroke 9 years ago is the cause of these symptoms. If, however, he was exhibiting these symptoms since the stroke, and they have seemed to worsen gradually over time, then it may be possible. You didn't mention your husband's age, but as we age, there are definitely changes in the brain as well as in hormones which can affect the way in which a person acts. Since you are noticing these changes, it would probably be good for your husband to visit a neurologist to see if there have been changes in the brain. If no changes are detected, then I would ask about having bloodwork and hormones checked by his general practitioner or an endocrinologist. Sometimes people will attribute sudden emotional, cognitive and physical changes to a stroke they had years ago and will just ignore these changes. It is important to investigate the cause of any changes in health regardless if one had a stroke years ago, as in many cases these new changes occur because of other reasons. That's why it is important to know what effects the first stroke had and any new changes or worsening of symptoms that develop and to relay this to his physician and to be clear that these are new symptoms. I appreciate your response so much. We will make an appointment with his neurologist whom he hasn't seen recently. He does have an upcoming PC visit scheduled. His age is 80. Question:Post hemorrhagic stroke balance is getting worse 3 years after stroke. Also vision problems, including double vision, have occurred in the past year. Is there anything I can do to heal my problems or at least prevent these problems from getting worse? Answer: Anytime when you have a change in your condition, I would ask your MD for a therapy referral. So for your balance problems, I would ask for a PT referral. For your vision, I would see a neuro-optometrist (not a general optometrist), and they often have vision rehab or can refer you to a therapist that does vision rehab.